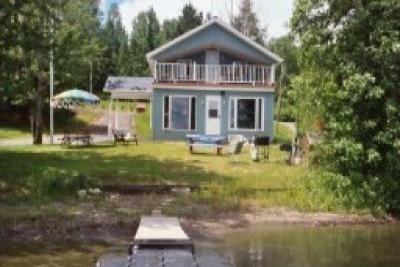 3 private cottages on Beautiful Long Lake, St. Agatha, Maine. TELEPHONE/TV W/SATELITE DISH RECP. LINENS/TOWELS PROVIDED. SKIING, FALL FOLIAGE, VACATION, BUSINESS,WEDDINGS, REUNIONS.